The Sea Eagle 370 is the 330's big sister. Only 6 lbs. heavier (32 lbs.) with a larger carrying capacity of 3 people or 650 lbs. (55 lbs with all accessories) You can take along enough gear for that long weekend fishing trip, camping adventure or river running voyage. 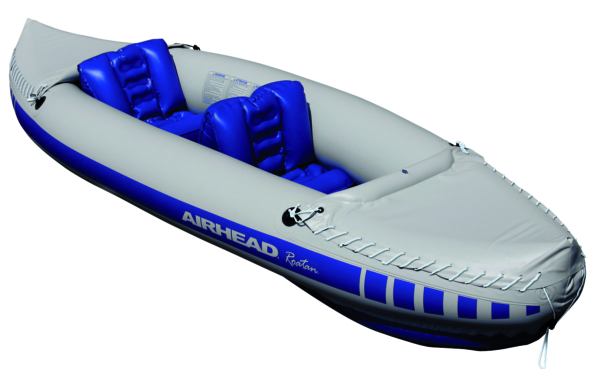 Form and function make the Sea Eagle 370 America's second most popular inflatable kayak. Sea Eagle started selling inflatable kayaks in 1968. A version that was very similar to our present Sea Eagle Sport Kayaks. Since then they have made many improvements in our inflatable kayaks. Today, they offer superior one way valves, thicker hull material and an even better material formulation for greater strength, reliability, and durability on the water. Boat Owners World has been selling their kayaks for the past 17 years. 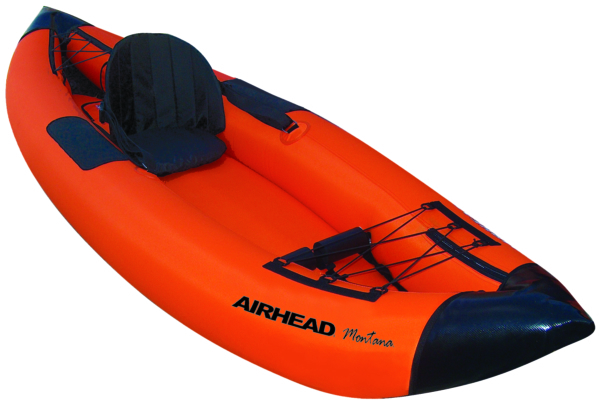 In our opinion it is the best inflatable kayak on the market today. The best design, quality, durability, warranty and value. 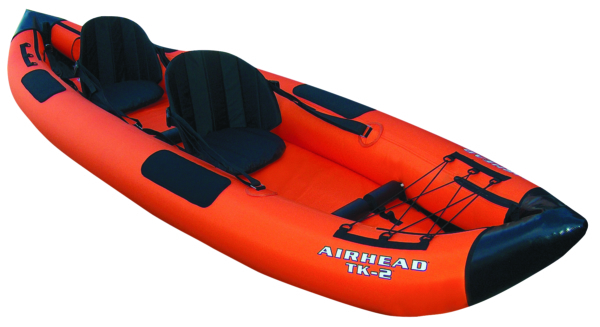 Sea Eagle 370 series Sport Kayaks pack to a fraction of their inflatable size, can be carried almost anywhere there is water and set up in less than 10 minutes! Several years ago Sea Eagle changed their floor construction from a 7 tube I-beam floor to 5 tubes. This greatly enhanced the paddling performance of our 330 & 370 Sport Kayaks because the paddler sits higher and most of the weight is born by the floor, rather than the side chambers. Because larger I-beam tubes have more rigidity than smaller tubes it also created a more rigid inflatable floor with natural chines which improve the speed and tracking of our Sport Kayaks, making it easier to paddle long distances whenever you wish. Tracking is very important in a kayak. Inflatable kayaks need skegs to track smoothly across the water - otherwise your paddling effort is wasted. Cheaper competitive boats without rear skegs just weave and wander across the water, wasting your paddling effort. The Sport Kayaks feature two molded skegs - just like a surf board - so you go faster and further with less paddling effort! These skegs are made of an almost indestructible molded plastic that will not be harmed by hitting rocks or running up on the beach. These Deluxe One-way Valves are simple and easy to use. A great improvement over traditional pipe valves which are hard to close, loose air easily and crack over time. The Sea Eagle 370's Deluxe Valves come with an inner diaphragm which allows air to be pumped in without air escaping afterwards. The larger opening of the Deluxe Valves allows for rapid inflation and deflation. Comes with molded O-rings that can't be lost and a tether that will keep them attached to the hull at all times. Final seal is achieved by the outside cap for true air tightness. Inflation & Assembly time: 6 min.